The UK’s only regional tradeshow dedicated to garage businesses is back again in 2018, with a fresh approach and a host of exciting new content. The automotive aftermarket is evolving at an alarming rate, so it’s more important than ever that you stay on top of the latest technology, training, products and information available to your business. 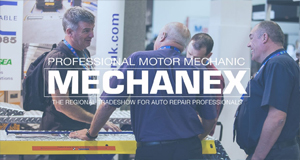 Attending MECHANEX – the only regional show dedicated to the specific needs of garages in the UK – is the perfect way to ensure that you are up to speed.